During today's The Flash panel at the Television Critics' Association in Los Angeles, actor Tom Cavanagh reportedly confirmed that his character is in fact the Reverse-Flash. So, that's case closed, right? The consensus on Twitter seems to be that he was being genuine...but it's not a clear-cut consensus and, just like every other answer fans have had regarding the mysteries surrounding the character of Harrison Wells, it seems far from definitive. For those of us not in attendance, anyway. If there's a video released down the line, maybe people can come to their own conclusions. 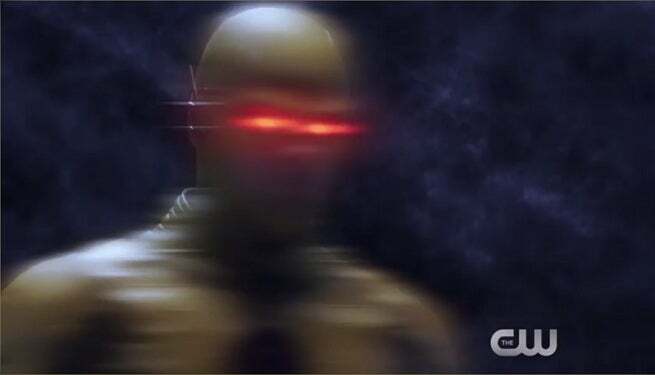 "His agendas don't necessarily make him a bad guy... he needs Barry to do well," Cavanagh said, throwing fuel on the fires of speculation that Wells could be a version of Hunter Zolomon, a Reverse-Flash created by The Flash executive producer and DC Entertainment Chief Creative Officer Geoff Johns during his time on the comic book. Zolomon believed that all of the evil he was doing was to make Barry a better hero to help prevent others from living through a trauma similar to the one he did: the loss of the love of his life as a result of an accident he thought The Flash should have arrived in time to stop. In the meantime, during the same panel, actor Rick Cosnett confirmed that he's not entirely out of the Man In The Yellow Suit running himself. The promise of resolution is new, but the "not an accident" line is an old one: producers have been using it for a while now, and Cosnett told it to several media outlets during interviews today as well.